MakeMyTrip one of the most tourist friendly travel organizations of India has been offering an attractive seven days summer holidays tour package form New Delhi to Shimla, Manali and Chandigarh for your comfort and attraction. Please go through the itinerary of the trip and choose the best one that you deserved for lovely and memorable summer holidays. On arrival at New Delhi airport or railway station the representative will take you to Shimla by road. It takes around 9 hour's journey from Delhi to Shimla. The distance is 370 kilometers. On arrival in Shimla, check-in to the hotel. You can make a local trip in the evening or can spend the evening at leisure. Stay overnight in the hotel. After having breakfast in the hotel visit Kufri, one of the beautiful places in Shimla. It takes 2 hours' drive from Shimla town to Kufri. You can enjoy many adventurous sports in this place. After that visit the attractive Vice Regal Lodge and from there take a walk down the Mall Road which is really exciting. Come back and stay overnight in the hotel. After having breakfast in the hotel, check out and move to Manali which is situated at the height of 1929 meters. Manali is 257 kilometers away from Shimla and it takes 7 hours journey. It is one of the most beautiful hill stations in India, a perfect place to spend summer holidays. On arrival in Manali, check into the hotel. Evening time go to the local market where you will get many traditional items such as handmade cloths, handicrafts etc. Stay overnight in the hotel. After having breakfast in the hotel make a half-day trip of Manali town and visit the Hadimba Devi Temple, Jagatsukh , Vishishth Kund and the Tibetan Monastery. After having lunch visit the handicraft centre. Visit the village of Vashisht which is known for its hot sulphur springs. Enjoy the picturesque view of this village. Come back and stay overnight in the hotel. After having delicious breakfast, make a trip to Solang Valley and the Rohtang Pass which is situated at the height of 3978 meters. 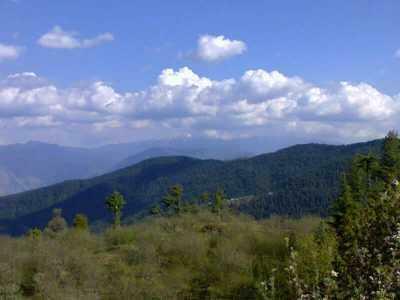 It is 51 kilometers away from Manali town and takes 2 hours journey. From this place one can enjoy the enchanting view of the great Himalayan Mountains covered with snow. Come back and stay overnight in the hotel. After having breakfast, check out the hotel and move to Chandigarh which is 320 kilometers away. On arrival in Chandigarh, check-in to the hotel. Enjoy the rest of the day at leisure. Stay overnight in the hotel. After having breakfast in the hotel, check out and move to Delhi Airport or Railway station for your onward journey. Delhi is about 250 kilometers away from Chandigarh and takes 5 hours journey.